Short cycling is when the air conditioner turns itself on and off every few minutes, instead of completing a full cooling cycle like it’s supposed to. This is usually due to a short circuit in the system, or a damaged compressor. While the immediate problem with short cycling is that it prevents the air conditioning system from cooling the home properly, the long-term consequences are much worse. Short cycling accelerates the rate at which the air conditioner wears down, making it more and more likely to develop problems the longer it short cycles. If you don’t have the issue repaired soon, you may end up having to replace your system early. If fluid is dripping from your air conditioner, it’s possible that you have a refrigerant leak. Air conditioners rely on refrigerant to cool the home, and use the same charge of refrigerant throughout their lives. If a leak develops, the output capacity of the system will drop along with the refrigerant level. Eventually, the refrigerant level will drop low enough to cause the system to break down entirely. Make sure that you call a technician before that happens. Though it may seem counterintuitive, ice on your air conditioner is not a good sign. Air conditioner coils freeze over if they don’t have enough warm air from the home’s ducts flowing over them. That means that you probably have either a clogged air filter or a malfunctioning air handler in the system. 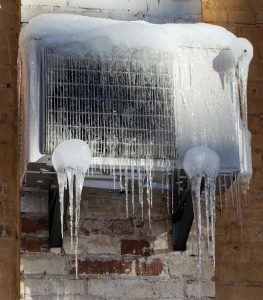 The ice will prevent the air conditioner from functioning properly, but it can also spread down the refrigerant line to other parts of the system and cause more problems. Make sure that you have a technician check out your air conditioner if it’s frozen over. You’ve probably had your air conditioner long enough to know what it’s supposed to sound like when it’s running. If your system starts to make any noises that seem odd or out of place, it’s a good idea to have a professional check up on it. Weird air conditioning noises are often indicative of some sort of problem with the system, so ignoring them is a very bad idea. Douglas Cooling & Heating offers full residential AC repair in Birmingham, AL. If you need to have your air conditioner repaired, contact us today to schedule an appointment with one of our professional AC technicians. We’ll make sure that your air conditioner serves your needs well this summer.